2017 is in full swing! The start of the year has been exciting and full of activity as we prepare for the launch of our new partner location in Pittsburgh, Pennsylvania. With all the buzz and excitement in the office and our centers, we wanted to take a moment and look at our personal goals for the year—more specifically, goals for our pets. All of our PetCure team members do what we do because we love animals. There is something wonderful and special about the human-animal bond. Not only are pets our loyal sidekicks, constant companions, and even our therapists at times, they are also precious members of the family. So why not set some New Year’s resolutions for our pets so they can have a healthier year, too? Here are 4 health goals to help your pet live a healthier year. The Association for Pet Obesity Prevention (APOP) estimates about 58% of cats and 54% of dogs in the United States are overweight or obese, and this number has continued to increase. It is a growing problem that can be prevented and remedied with exercise and a proper diet. Just as with humans, regular exercise helps strengthen our pet’s heart, lungs, muscles, joints, and, last but not least, their mental health. Exercise can help curb negative behaviors that are the result of boredom or anxiety. For dogs, plan regular walk times. You’ll see how quickly your dog will pick up on when it’s “walking time.” Plan play dates at the dog park, go on hikes together, or go swimming. There are many fun ways you can incorporate activity into your pet’s life. Instead of long walks or hikes, your cat will get exercise from playtime. Schedule 10- to 15-minute blocks of playtime throughout the day. Toys attached to the end of a string are great for bringing out your cat’s hunting instincts. You can also use a flashlight or laser beam for them to chase. If you have special talents in the DIY field, you can create an elaborate cat castle/cave/maze out of cardboard boxes and fill it with fun crinkle paper, smaller boxes, scratching posts, toys, etc. If your pet is really overweight, older, or has a medical condition, consult with your primary veterinarian. Together, you can come up with an exercise plan that is right for your pet’s weight, age, and/or condition. Along with exercise, pets need a proper diet to maintain a healthy weight. It’s tempting to give your pet a treat or scraps from the dinner table. We understand—they are just too darn cute! But too much indulgence with food is the primary cause of overweight pets. For pets, that extra weight can cause a myriad of health problems such as osteoarthritis, high blood pressure, diabetes, cancer, and more. In addition to giving the proper amount of food, you also want to look at the quality of the food. Not all foods are created equal. Consult with your primary care veterinarian about what food is best. Ask them what they feed their own pets. Also, if you plan on making your pet’s food at home, take extra care to ensure that your pet is receiving their daily supply of vitamins and nutrients. Consider visiting with a board-certified veterinary nutritionist. A veterinary nutritionist has received advanced training in the field of nutritional management and can help you create a customized home-cooked diet plan for your pet. For additional information, we recommend Dr. Ernie Ward’s Chow Hounds: Why Our Dogs Are Getting Fatter. Dr. Ward is the founder of APOP and focuses his work on pet obesity awareness and prevention. Have you ever received a postcard from your doctor or dentist reminding you that your annual exam is coming up? We all know that it’s good to get a yearly checkup. Making sure we have our physical and blood work helps us catch warning signs or diseases early. Your pet will benefit from the same level of preventative care and attention. Young pets are usually fine with one wellness exam each year (not including visits for vaccinations). However, pets age faster than humans. So while an annual visit to the doctor is the standard for healthy human bodies, senior pets should receive wellness exams twice a year. As a cancer care provider for pets, we’ve had pet owners tell us that it seemed a lump formed suddenly. They’re not wrong. Some of our Pet Heroes developed a cancerous tumor only a few months after passing their wellness exam with flying colors. One such pet is Pet Hero Sissy. In Sissy’s case, her tumor doubled in size within two weeks! Having twice-a-year exams can help catch diseases like cancer early on, which can make a big impact on available treatment options as well as success rates. Fortunately, this is the easiest goal you can get started on. Call your primary care veterinarian today to schedule your pet’s wellness exams. Since you’re scheduling ahead of time, you’ll likely get your pick of dates! While lumps and bumps aren’t the only signs of cancer, it is one of the easier symptoms to detect. Designate a date in the month as your “Check for lumps and bumps” day. Check the chest, back, waist, under arms, and under legs, too. Not all bumps are malignant, or cancerous. If you notice a lump or bump, be sure to write down where you found it and how large it was. Keep an eye on it for a week or two. If it is still there, get it checked out. If it’s grown, changed shape, or changed color, don’t hesitate. Visit your veterinarian right away so they can do an aspiration or biopsy. Early detection is key when fighting cancer. 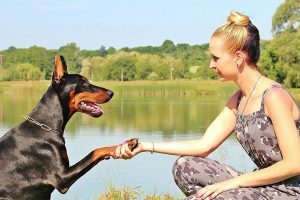 Your pet can’t reach these goals without you. You are his or her biggest cheerleader and coach. But you are not alone. Your primary care veterinarian and the team here at PetCure Oncology will be your cheerleaders! If at any time of the year you need medical advice for your pet, reach out to your veterinarian. 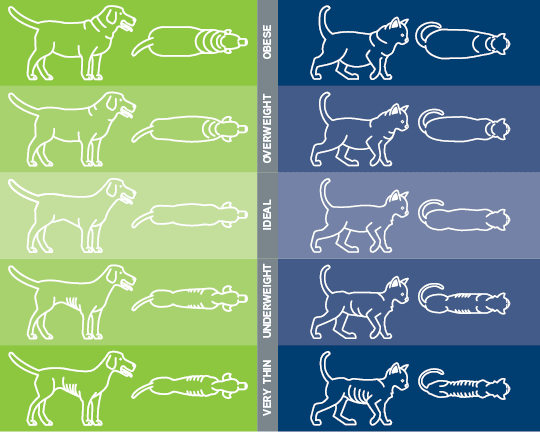 We hope you’ll integrate one or two (or all) of these goals into your pet’s life. If you do, keep us updated on our Facebook page. We’d love to hear progress updates. We wish you and your pet a happy and healthy year!